As low as $24.99 per oz over spot! The Canadian Maple Leaf coin series from the Royal Canadian Mint is one of the worlds most popular coin designs. Struck in four different precious metals each year, the Palladium Maple Leaf is undoubtedly the least recognizable coin on the global stage. 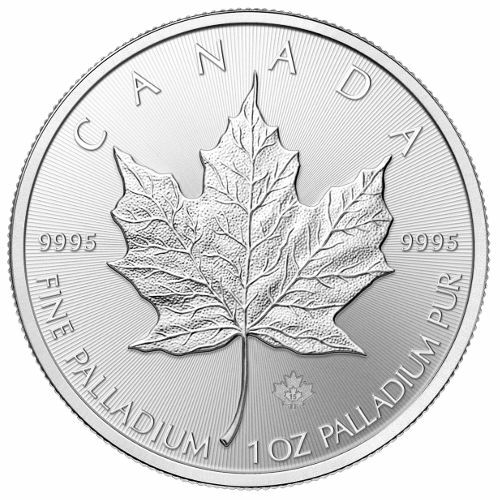 Today, you can purchase a 2015 1 oz Canadian Palladium Maple Leaf from JM Bullion. Contains 1 oz of .9995 pure palladium. Issued with a face value of $50 (CAD) backed by the Canadian government. Weight and purity certified by the Royal Canadian Mint. Coins ship in individual plastic flips, with multiples of 10 available in plastic tubes. Eligible for inclusion in Precious Metal IRA portfolios. Canadas Palladium Maple Leaf coin was first introduced by the RCM in 2005. Unlike other precious metals commonly used in coins today, palladium is relatively abundant on Earth and is more affordable by weight than gold. Due to its incredible resistance to corrosion, palladium is popular in coins, but that also makes it popular in the automotive industry (for example). 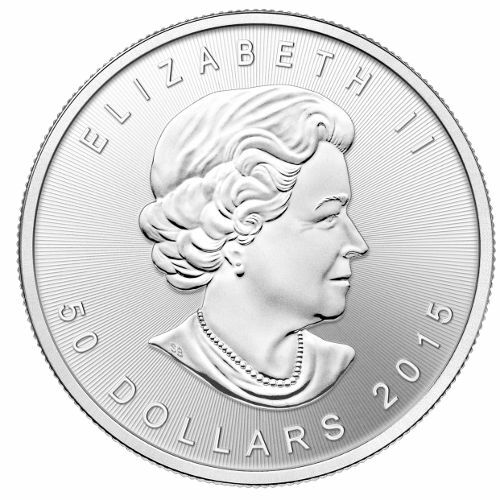 The 2015 1 oz Canadian Palladium Maple Leaf coins features the same design sets as the other Maple Leaf coins. On the reverse side is the image of a single sugar maple leaf. The obverse bears Ian Rank-Broadleys standard right-profile portrait image of Queen Elizabeth II. There is one feature that sets this coin apart from its silver, gold, and platinum counterparts. On the reverse side of each coin is a privy mark that can only be viewed under magnification. The mark displays the year of minting, as 15, inside of two small maple leafs. Micro-engraved radial lines across the field of the coin add to its security and provide the perfect tool for authentication. The Royal Canadian Mint is one of the worlds premier facilities. It operates two coining facilities in Ottawa and Winnipeg, and has achieved milestones that no other mint can match, such as striking the first $1 million coin. If you have questions about the Palladium Maple Leaf coin, a JM Bullion associate will be glad to answer them. You can contact our team members at 800-276-6508, chat with us online, or send us an email. Interested in similar products? Check out the Canadian Silver Maple Leaf page of JM Bullion’s website.